An undated photo of 14-year-old Elias Rodriguez, who was reported missing in San Fernando on Saturday, Feb. 18, 2017. 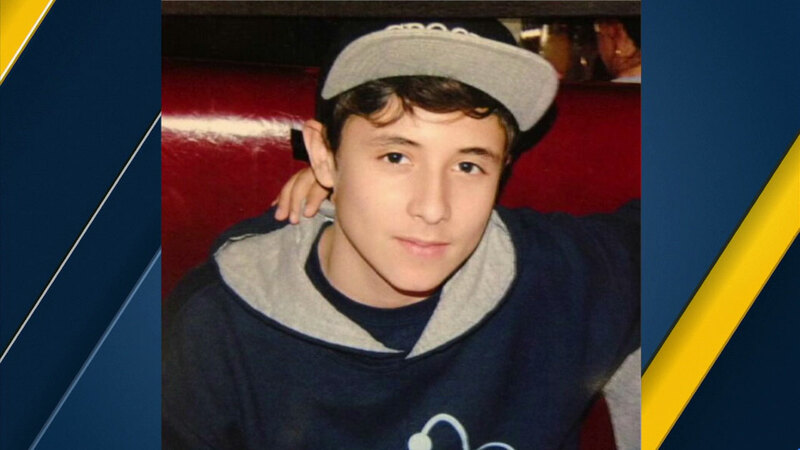 LOS ANGELES -- A body found near the Los Angeles River in Los Feliz is believed to be Elias Rodriguez, a 14-year-old boy who went missing more than a week ago, officials said. A body found near the Los Angeles River in Los Feliz is believed to be Elias Rodriguez, a 14-year-old boy who went missing more than a week ago, officials said. "There is nothing more painful than the loss of a child, and the thoughts and prayers of all Angelenos are with the loved ones of Elias Rodriguez," Mayor Eric Garcetti said in a statement released Sunday morning. "Words cannot capture the agony that Elias' grieving family has felt since his disappearance." Elias had disappeared while walking to his grandmother's home after school during a powerful storm on Feb. 17. His route included crossing the Pacoima Wash, which leads to the area where a volunteer searcher found the body 18 miles downriver on Saturday. Speaking near the river in Los Feliz on Saturday, Capt. Peter Casey of the Los Angeles Police Department described the condition of the body. "It's difficult to talk about because it was a hard thing to see," the captain said, "but obviously beat up from the canal and the water. The water is flowing fast right now, but on Friday the water was about 70 miles an hour." Garcetti said he instructed his Crisis Response Team, which has met with Elias' family, "to do everything possible to help them through what is surely their worst nightmare." The family of Elias, as of Sunday night, has not confirmed the body recovered is Elias. Coroner and law enforcement officials were working to get dental records to confirm a match. A GoFundMe account was set up to help the family of Elias. To donate, visit www.gofundme.com/help-elias-rodriguezs-family.